For a variety of not very interesting reasons, I haven’t been blogging much recently, despite having some decent material. Some of that material is photographs I took recently on a family trip down to Little Cayman. Because you all wanted to see photos of my vacation, right? Just sit back, relax, I’ll get the slide projector and hold you hostage while I show you pictures of cousin Herman packing for the vacation. Okay, not so much. They are wildlife photos, and I thought they might be of interest because I’ve been getting some very positive feedback on my nature photography. On the other hand, feel free to disregard if these photos aren’t your cup of tea. 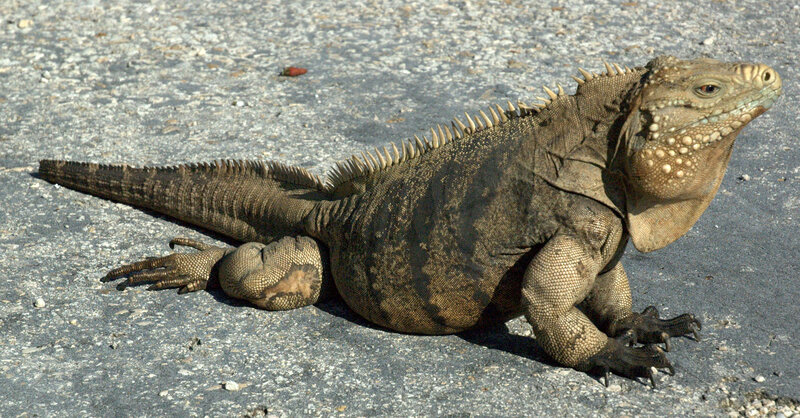 There are a lot of Iguanas on the island, and they all look deeply prehistoric. 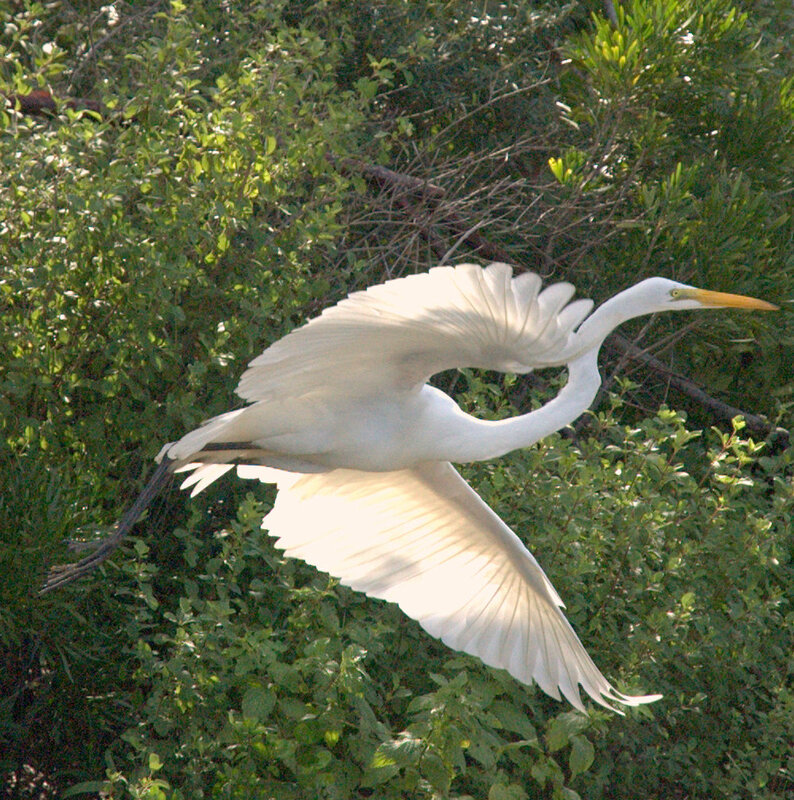 In addition to the reptile life, there were birds: egrets, herons and frigate birds, in particular. 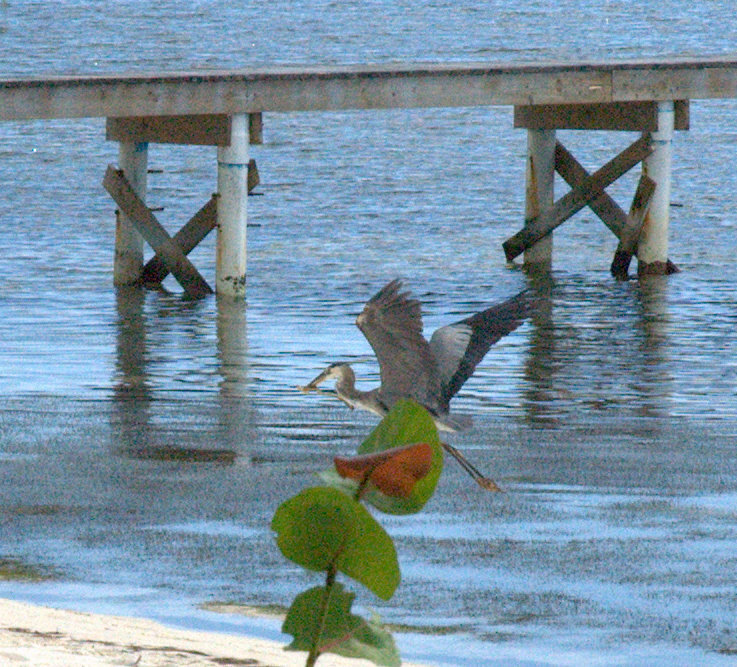 This is a Great Blue Heron, flying off with an eel in its beak. 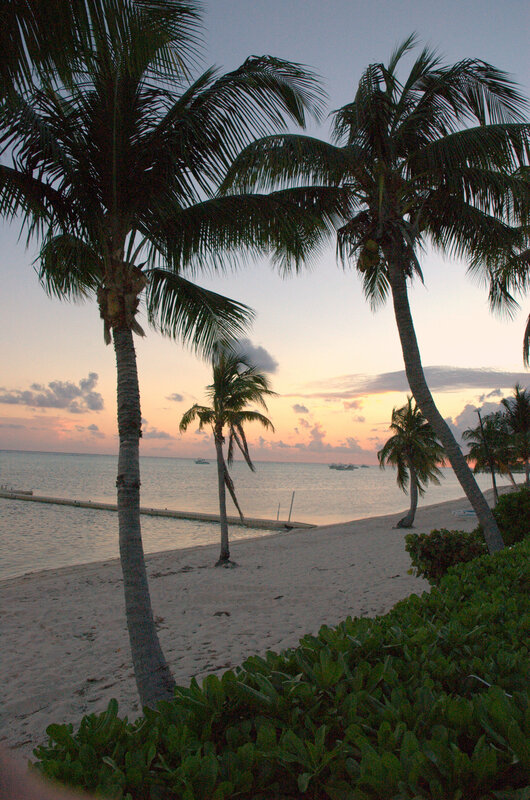 The most popular reason for being on Little Cayman is the diving and snorkeling. 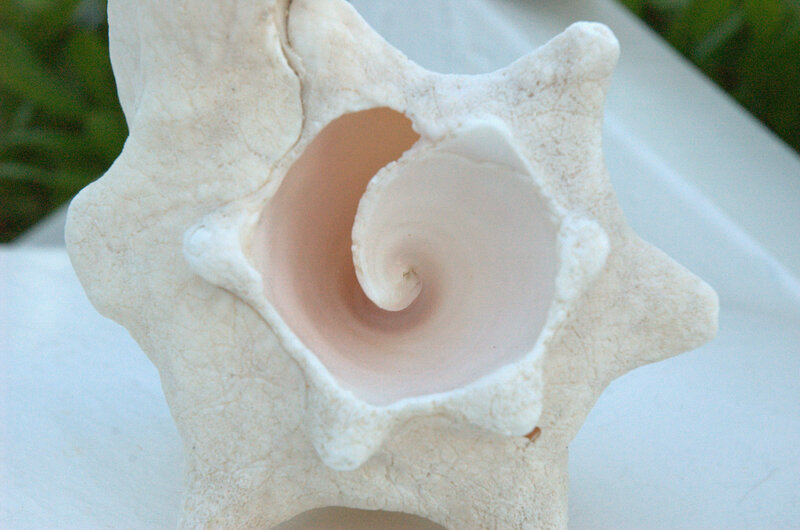 Conc shells abound, and I found them an interesting object for photographic experiments. As always, I did a little botanical photography (a long-winded way of saying I took pictures of plants). 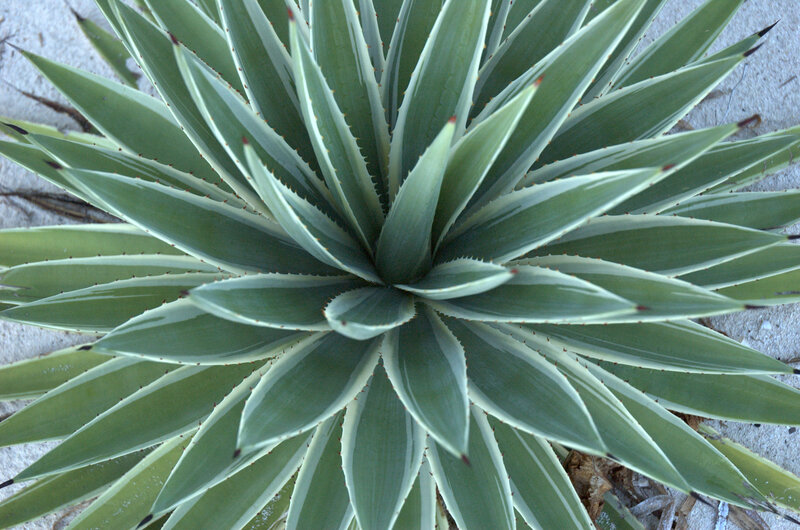 I really liked the geometrical nature of the agave.. Watching sunrise and sunset from a tropical island is an amazing experience. Trying to photograph it is more frustrating. Especially without a tripod. Nonetheless, I hope some of the tranquility and gentle breeziness comes through in this photo. 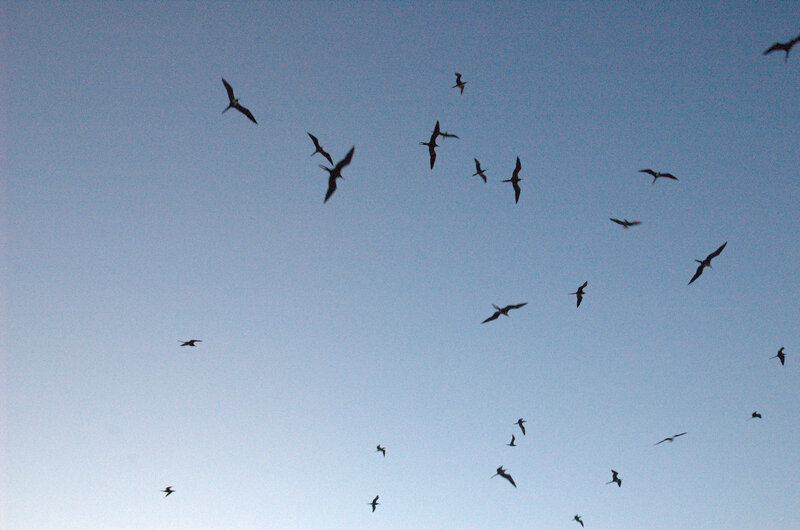 The frigate birds, circled and flew in large groups towards dusk, before settling into some trees for the night. These birds are distinctly reminiscent of a pterodactyl, in large part because of the their long wingspan (they have the highest wingspan to weight ratio of any bird). 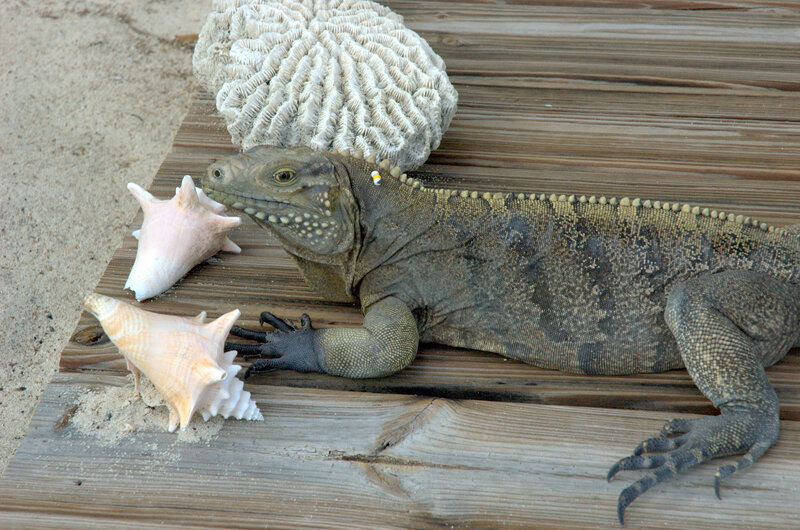 The iguanas were not limited to the roadways: we also had one which hung out right by the condos. 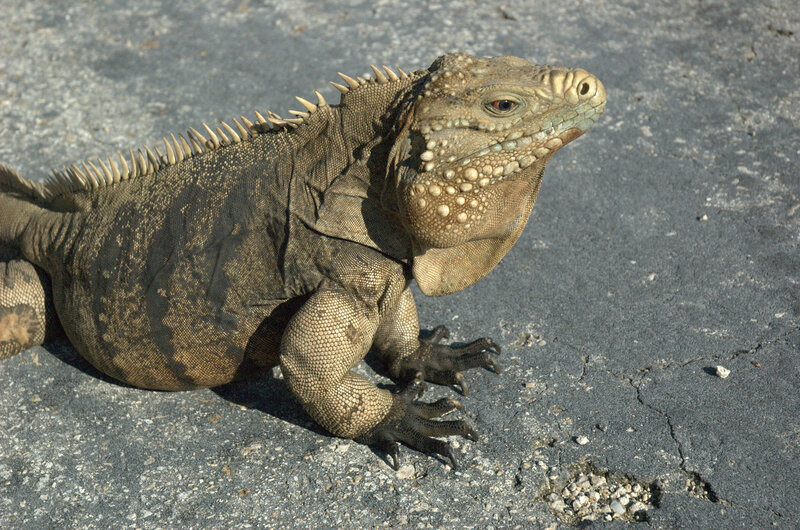 All of the island iguanas seem relatively accustomed to humans, and regard them as a sources of food. If you look carefully, you can see that the iguana on the road and the condo iguana (whom we nicknamed Iggy), are slightly different species. 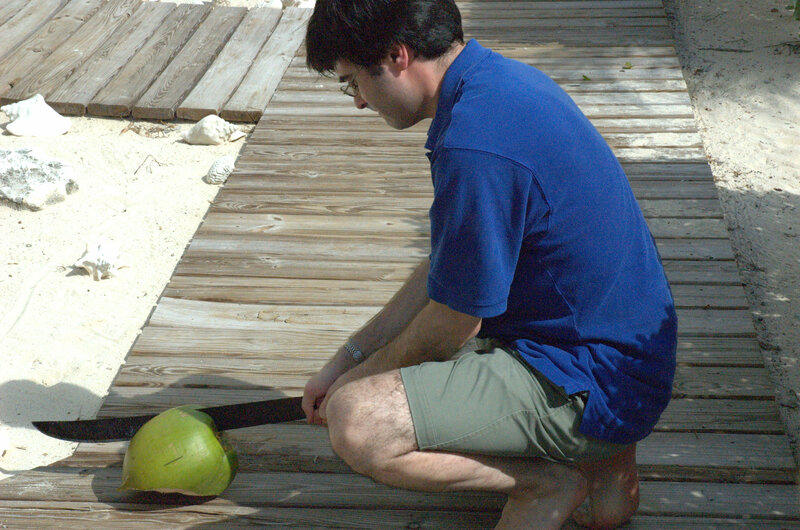 Finally, I thought I'd leave you with a photo of me: massacring a coconut.